Is Coin Proof of Early UFO Sightings? An ancient coin minted hundreds of years ago proves aliens made multiple visits to Earth, a UFO hunter claims. Decoration on this French artifact, carved between 1680 and 1856, shows a strange, circular, craft-like object floating in the sky. The coin is not actually currency but a jeton - used for counting or playing games. And alien enthusiast Scott C Waring says the mysterious object on it is proof of regular extra terrestrial trips to our planet. On his website he wrote: "I've been looking for one of these off and on for a few weeks. 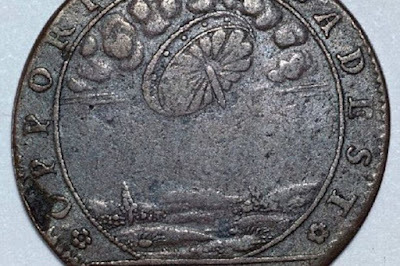 "It looks really amazing and is absolute proof that in the 1600s the French witnessed enough UFO sightings to decide to put some of what they saw on coins." He added: "It is about the size of a US quarter-dollar and similar to thousands of other jetons with different religious and educational designs that were produced and used in Europe during the 16th and 17th centuries. "It appears to commemorate a UFO sighting of a wheel like object." A woman was found dead in her home after choking on a fish she had accidentally swallowed whole while preparing dinner on Wednesday evening in a village in Preah Vihear province, according to police. Kulen district deputy police chief Yeang Samphuon said that Lim Narom, 46, died soon after swallowing the fish. “Less than 20 minutes after swallowing the fish, she started coughing up blood and died,” he said, adding that her family could not rush her to the hospital because it was too far from their home. The officer explained that Ms. Narom was scaling a batch of fish her husband had caught earlier in the day. It is common practice to kill a fish by biting its head before scaling it, the officer said. Ms. Narom had killed and scaled one perch before the second slipped into her throat, he added. Chheng Reil, a Kulen Tbong village resident, said that Ms. Narom’s funeral would be held today. Ms. Reil said the deceased had three children and described the family as poor. 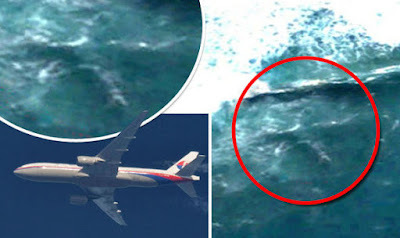 MH370 Found on Google Earth? A UFO investigator looking for evidence of flying saucers inadvertently stumbled across the suspected aircraft in an eight-month-old Google satellite image. If Scott C Waring is correct, the plane had travelled to the Cape of Good Hope, off Cape Town, South Africa. His claim today coincides with the discovery of debris on the east coast of Africa in an area between Mozambique and Madagascar. The wrecked parts are being sent to Australia for tests to see if they came from MH370. The poor-quality recording is said to have been filmed in Brazil, according to YouTube channel OvnisUfos HD which posted it online. There are are least six youths, three taking part in a front crawl sprint, one filming, and two watching for the winner. But when the trio finish their race, the camera man suddenly becomes concerned at something behind one of the adjudicators on one of the banks of the stream. Shouting panickedly, it appears he is trying to get the boy's attention to something peeping out of the trees behind. Due to the grainy recording, it is difficult to make out what is there, but it appears to be a face peeping out. The lone boy on the bank takes a few tentative steps to investigate, but soon after, whatever it is leaps out from its hiding place. The video has been entitled "Bigfoot caught on tape by Indian boys. What is it? Bigfoot sightings, skin walker, or alien?" A skin walker is a mythological human-like being that can transform into any animal, so we can probably rule that one out. At which point there are cries of terror and the camera goes classic Blair Witch Project-style, with it trained on the floor as the gang quickly make off. There is no detail about when the footage is shot, or exactly where, though it was posted in 2014. There is no evidence from the footage to support why it would be an alien. Some viewers have pointed out the being does not look large enough to qualify as a jungle version of the Yeti or Big Foot, said to grow up to 2.5metres in height. But aside from large Big Foot-like creatures allegedly being sighted in rainforest regions in the past, there is also the legend of 4-feet tall Monkey Man which has attacked and scratched people.